On two different historic occasions, the Jews corrupted their own Bible to counter theological adversaries. 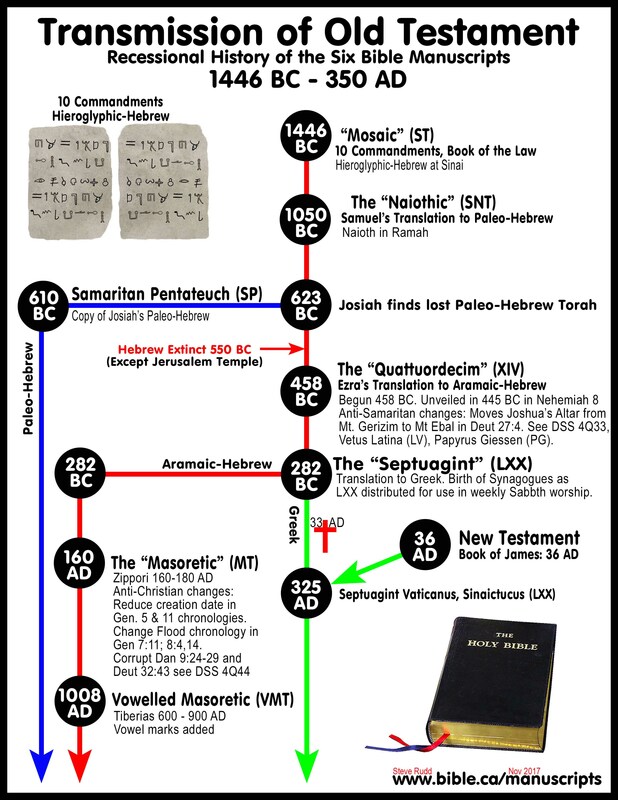 The Jews in 160-200 AD corrupted the Genesis chronology for anti-Christian purposes unknowingly following in the footsteps of Ezra in 458 BC who, for anti-Samaritan purposes, changed the location of Joshua’s alter from Mt. Gerizim to Mt Ebal as he converted the Paleo-Hebrew Tanakh into Aramaic Hebrew. Noah got drunk, David committed adultery. Perhaps this one textual corruption was Ezra’s great sin. Notice that in both cases, the entire collection of Hebrew manuscripts were entrusted into the hands of a small number of Jews who created a single manuscript that would come to dominate the world, all within a population who were Hebrew illiterate and would be unable to detect the changes. a. 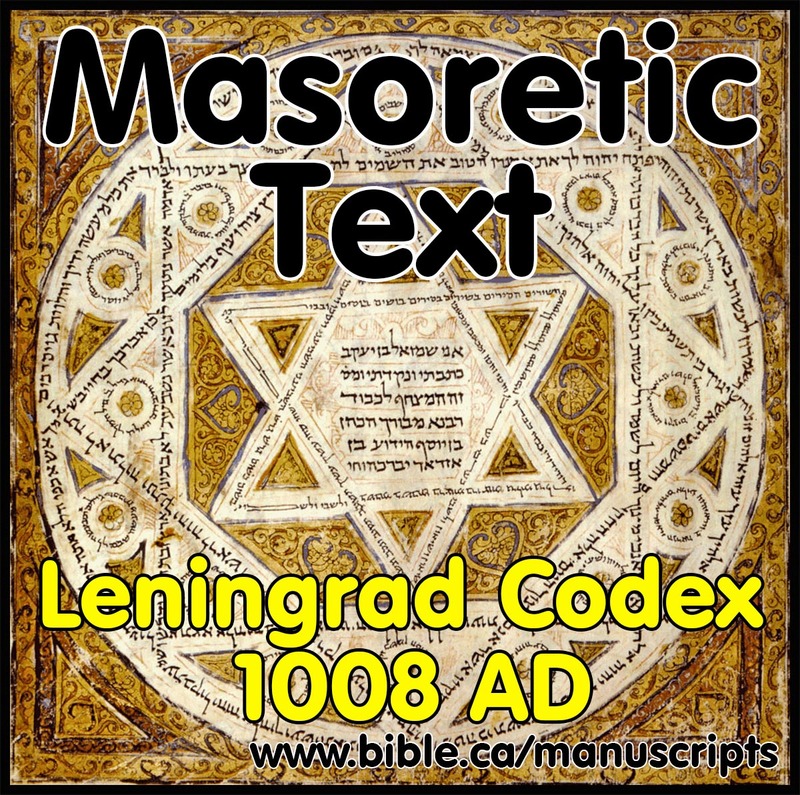 The oldest Hebrew manuscript in the world is the Codex Leningrad manuscript that dates to 1008 AD. c. The Mikraot Gedolot, known as the second Rabbinical Bible, was finalized by Ben-Hayyim (Jacob ben Haim or Yaakov ben Hayyim ibn Adonijah). The Mikraot Gedolot was printed in Venice by Daniel Bomberg (1524 AD). The Mikraot Gedolot of ben Hayyim was used by the 1611 AD King James Version translators for the Old Testament. g. It is ironic that the three key men who produced the Mikraot Gedolot Jewish Bible (Daniel Bomberg, Felix Pratensis and Ben-Hayyim) were all Jewish converts to Christianity. Editor Felix Pratensis converted before he worked on the Hebrew Text and editor Ben-Hayyim converted to Christianity after intense work with the Old Testament! a. On two different historic occasions, the Jews corrupted their own Bible to counter theological adversaries. The Jews in 160-200 AD corrupted the Genesis chronology for anti-Christian purposes unknowingly following in the footsteps of Ezra in 458 BC who, for anti-Samaritan purposes, changed the location of Joshua’s alter from Mt. Gerizim to Mt Ebal as he converted the Paleo-Hebrew Tanakh into Aramaic Hebrew to create the Quattuordecim (XIV). Noah got drunk, David committed adultery. Perhaps this one textual corruption was Ezra’s great sin. Notice that in both cases, the entire collection of Hebrew manuscripts were entrusted into the hands of a small number of Jews who created a single manuscript that would come to dominate the world, all within a population who were Hebrew illiterate and would be unable to detect the changes. b. 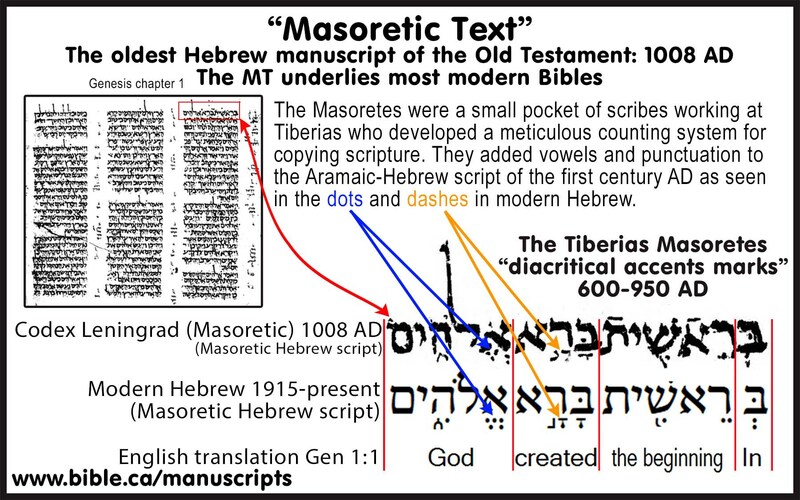 Despite two waves of deliberate Jewish corruptions of their own Hebrew Bible, the Hebrew Masoretic text of the Old Testament retains all the historical and theological information God intended his creatures to know in order to become Christians. 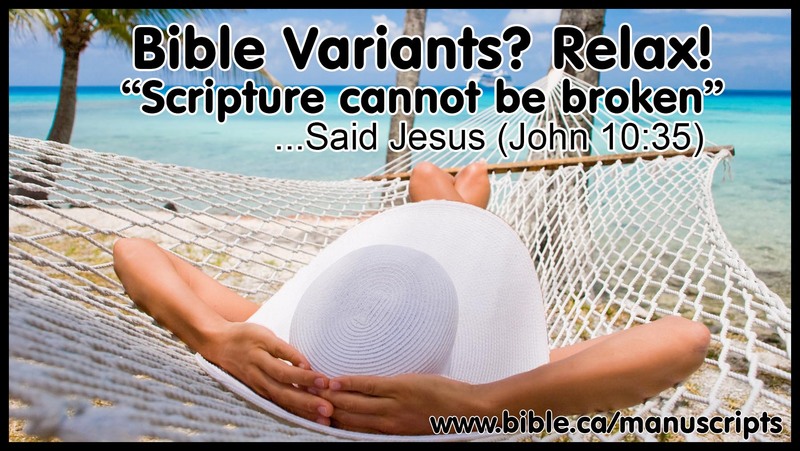 In other words, the variants make zero difference to anything important. d. This Zippori text was inherited by the Masoretes at Tiberias in 600 AD and they added vowel accenting marks to create the Codex Leningrad manuscript that dates to 1008 AD. a. After suffering major losses in 70 and 135 AD, the manuscripts of the bible lay in the hands of a tiny group of Jews at Zippori. 3. Genesis Flood Chronology: Three calculated, deliberate variants in Gen 7:11; 8:4, 14.
a. Shem was NOT Melchizedek. Shem died before Abraham was born. b. Shem was second-born and NOT Melchizedek. Japheth “the Great” was firstborn in the LXX. d. The 70 weeks of Daniel 9 end in 33 AD with the resurrection of Christ in the LXX. e. Jews corrupt the Synagogue Septuagint Tanakh: Jews alter the LXX, then abandoned it forever. 1. 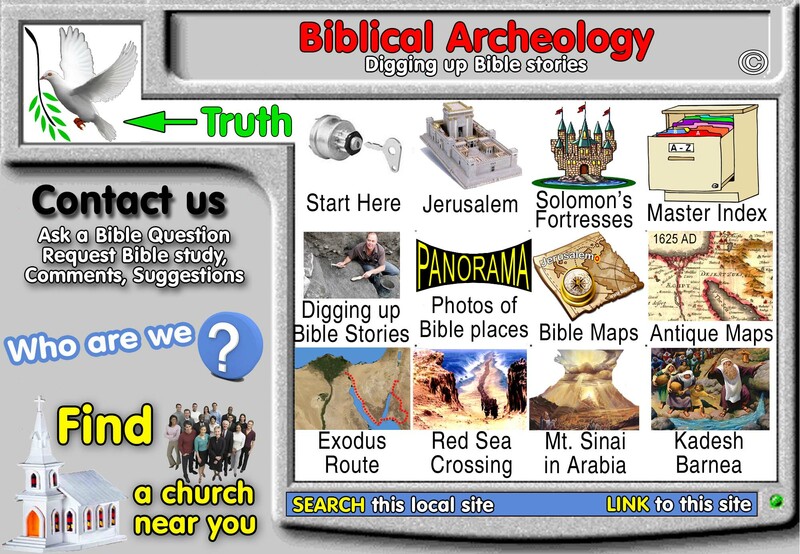 The corrupt Masoretic chronology is found in all Christian Bible’s including the KJV, NASB, NIV etc. a. The chronology is so obviously corrupt, it is shocking that more Christians have not recognized this before. b. The Masoretic Chronology used Seder Olam Rabbah as its blueprint for compressing earth history for anti-Christian theological reasons. c. Masoretic Chronology like Seder Olam, is an extreme compression of real Jewish history so that every descendant of Noah down to Abraham (except Peleg), was alive when Abraham was born. This means that Noah, Shem, Pachshad, Shelah, Eber, Rau, Serug and Nahor may have attended Abraham’s first birthday party and might have helped Abraham blow out his one birthday candle. d. Every descendant of Noah after the flood not only lives to see Abraham, but in some cases outlives Abraham! e. Remember, the Jews wrongly have Abraham born when Terah was 70 rather than 130 which from a Jewish point of view, shifts Abraham 60 years earlier which means even Peleg lives past the birth of Abraham. Christians corrected this error 60 year error. f. Another huge problem is the population dynamics. From the flood to the Tower of Babel to Abraham is only 358 years. In those 358 years you must start with 8 persons, fill the earth to the tower of Babel, then disperse the population again sufficiently to build the great pyramids in the 100 years after babel. g. This creates another huge problem from an archeological point of view, not only is there insufficient manpower to build the pyramids, they date to about 2500 BC, which from the Septuagint chronology, is a full 800 years after the flood. 3. 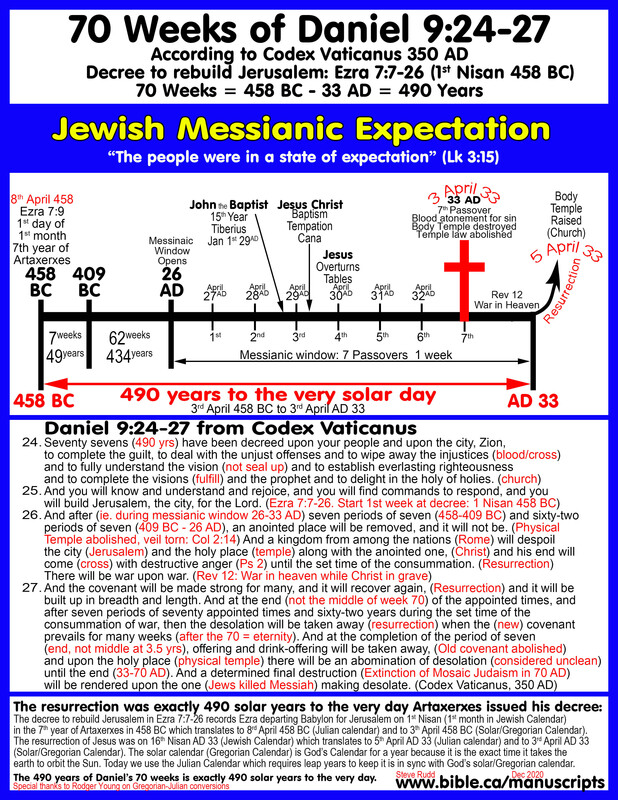 The Jews in 160 AD, reduced the age of the earth from 5554 BC to 4174 BC in order to push Jesus outside their 1708 year window of expectation between 4292 – 6000 years after creation. a. This man-made, non-Biblical Jewish eschatological idea is witnessed in the Babylonian Talmud, b. Sanh. 11:1, I.88.A–91.F and is believed by Jews down to the present time. Pushing Jesus Christ outside this window was done by the Jews in 160 AD by corrupting the chronological numbers in Gen 5,11. The autograph originals are preserved in the Septuagint. b. The original age of the earth was a perfect fit for Jesus as the expected messiah who started his ministry (30 AD) in year 5474 After creation (AC). 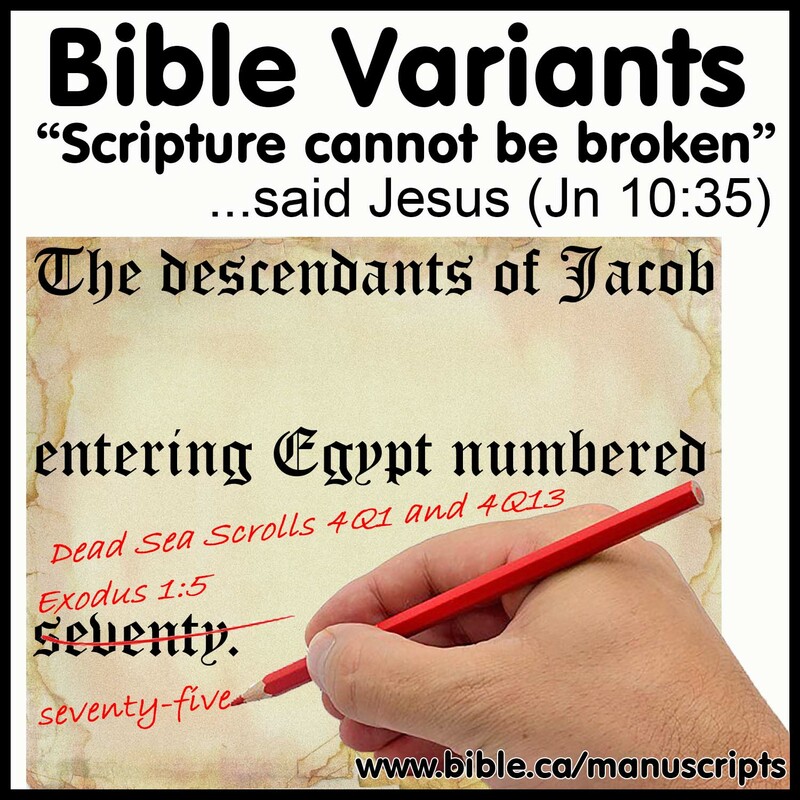 The new corrupted numbers as reflected in the Masoretic text that underlies most Bibles today, have Jesus coming in year 4207 which is 88 years to early. However, since the Jews in 160 AD down to the present wrongly believe Terah was 70 instead of 130 when Abraham was born, creation to them was 60 years shorter at 4114 BC. c. In the Jewish mind in 160 AD, therefore, their new fudged numbers had Jesus come ([4114 + 30] - 4292 = 148) 148 years too early. In their mind, the beginning of the 1708 year window for the coming of the Messiah started in 178 AD. This worked fine for the Jews in 150 AD because it ruled out Simon Bar Kokhba who was universally believed to be the Messiah until Hadrian killed him in 135 AD AND it meant that the very Jews who corrupted the numbers were themselves on the brink of the windows for the coming messiah which would lasts 1708 years. d. Little did the Jews know in 160 AD that the Jewish messiah has STILL NOT COME TODAY almost 2000 years later. According to the Masoretic Text the close of the messianic window is year 6000 after creation or 1886 AD. This is why Jews today have actually abandoned the chronology of their own Tanakh (Masoretic Text) and use the even more corrupted chronology of the Seder Olam Rabbah, which sets year 6000 at 2239 AD. e. If you find this hard to believe just type into Google “Jewish date 2017” (where 2017 is the current calendar year) and you will see the result is 5778 years after creation. So Jews today expect the messiah to come before year 6000 AC (2017 AD + [6000 - 5778] = 2239 AD) which is 2039 AD. This dating system was invented in 150 AD by the Jews in their Seder Olam. 4. 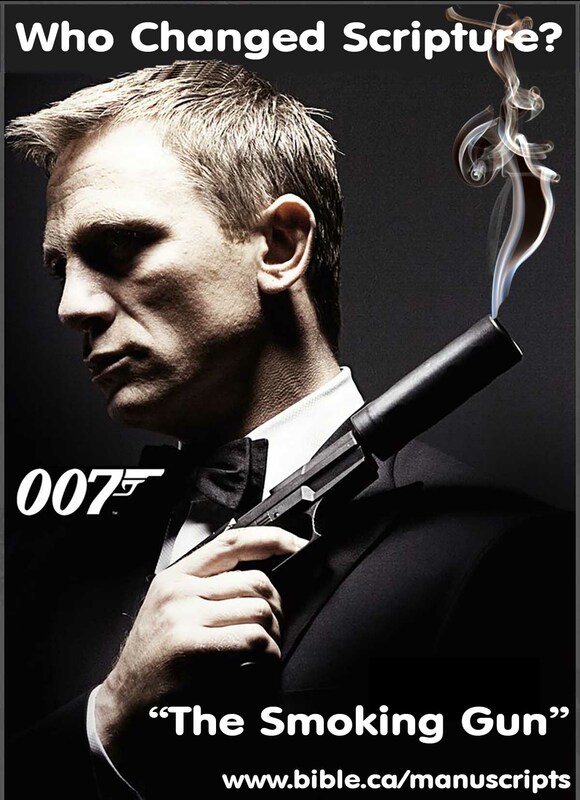 Seder Olam is the smoking gun as the first time in history that the chronological numbers in today’s Masoretic text are recorded exactly. a. This proves a cause and effect that the Seder Olam came first and the corruption in the Hebrew Bible merely copied the numbers from Seder Olam into Genesis 5 and 11.
b. 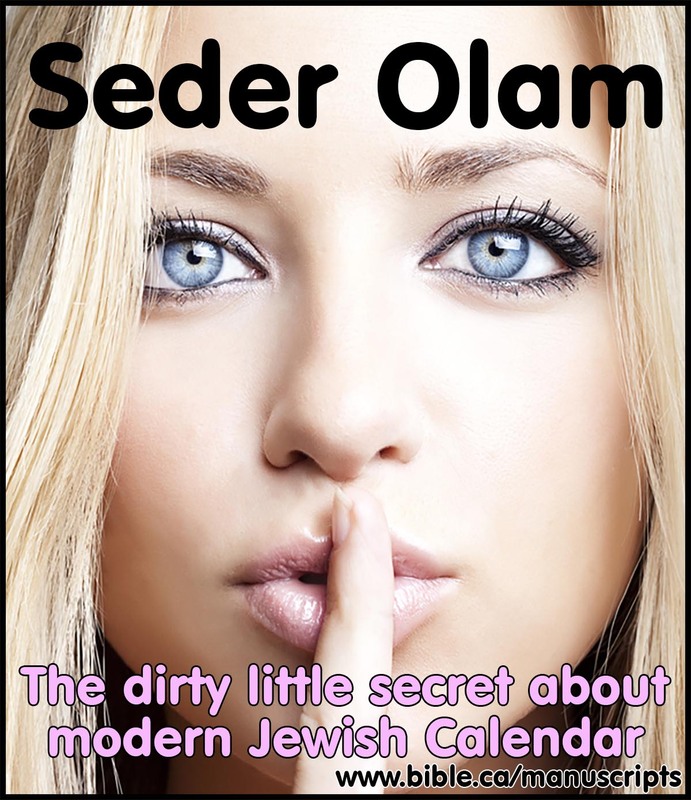 The Seder Olam is a corrupt chronology universally rejected as historic because, for example, it gives the Persian empire only 52 years when in fact it existed 205 years. 5. 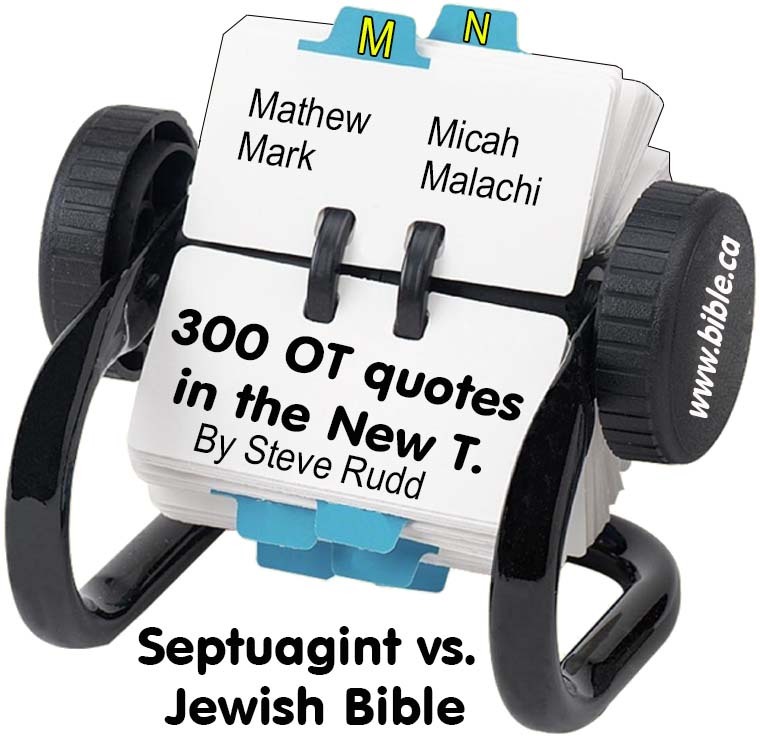 The Hebrew Text matched the Septuagint in 100 AD: The evidence is almost irrefutable to prove this. a. In 100 AD, the primeval chronologies in Genesis from Adam to Abraham were identical. The numbers in the Hebrew manuscripts matched the Greek Septuagint. In the first section, we documented the messianic fever and symbolism that existed for two hundred years (100 BC – 100 AD). In the second section, we documented that there was almost universal agreement in both the extant Hebrew (MT) and Greek (LXX) chronological numbers down to 100 AD. In other words, the chronological numbers of Genesis 5&11 that calculate the older age of the earth as seen in today’s Septuagint, were identical to the Hebrew Masoretic text at the time of Christ and the first century church. Then in the second century AD, the Jews began deliberately corrupting key messianic passages and the chronology of Genesis in order to disqualify Jesus as the messiah of prophecy. b. The blindness that led the Jews to reject the miracles of Christ morphed into jealously that led the Jews to crucify Jesus, which morphed into deceit which led them to lie about the disciples stealing the body of Jesus, which morphed into a hatred of Jesus Christ so intense they chose to corrupt the text of their Sacred writings. This 100 year old pattern of blindness, jealousy, deceit and hatred for Christ exceeded their love of their scriptures which Christians used against them to clearly proved Jesus of Nazareth was their messiah. Rather than convert to Christ they chose to corrupt their Tanakh. Corrupt or convert. They did the unthinkable and chose to corrupt their scriptures. Their rejection of Christ led directly to the millions of Jews killed in the first Jewish war of 66-70 AD at Jerusalem, two mass suicides at Gamla and Masada and Hadrian’s holocaust in the second Jewish war of 132-135 AD. All this unnecessary death when Jesus the Nazarene (branch of David) offer them eternal life. c. Jewish rabbis today knowingly follow this corrupt dating system from the Seder Olam, where the year 2017 AD is equal to the Jewish calendar year 5777 AC (after creation). This Seder Olam directly contradicts the original uncorrupted Genesis chronologies as witnessed in the Septuagint by a whopping 1799 years and the corrupted Genesis chronologies as witnessed in the modern Masoretic text used by Jews in Synagogues with a difference by 413 years. In other words, the Chronological numbers in the Hebrew Tanakh read by Rabbis in every Synagogue today are ignored in favor of the man-made Seder Olam chronology. If Jews were honest they would discard the Seder Olam chronology and at least use the corrupted Masoretic Chronology in the book of Genesis. If they did, the year 2017 would be 6191 AC. Of course, the true age of the earth, as recorded in the Greek Septuagint in the year 2017 would be 7577 AC. 170 BC: Book of Jubilees: 3906 BC (estimate) This is a fictitious chronology. 6. 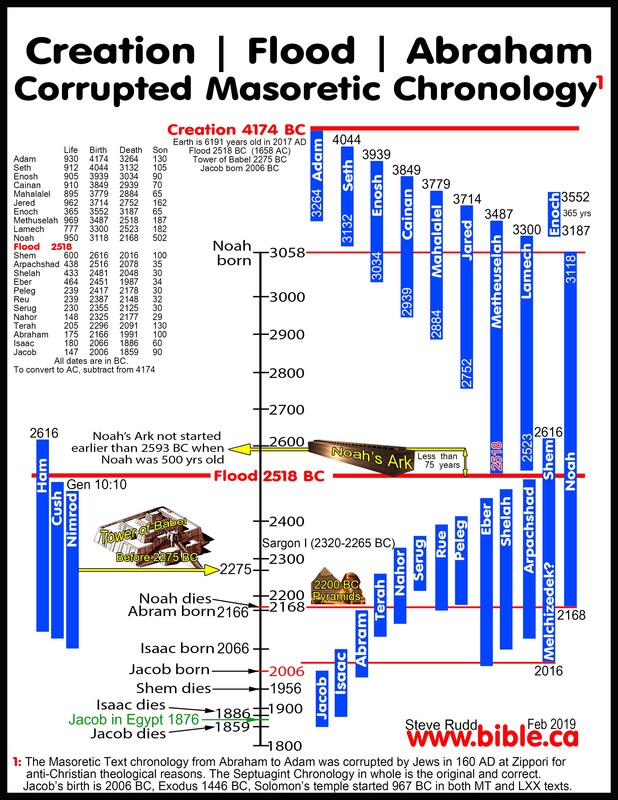 Because Jews have wrongly believed from 300 BC to the present that Terah was 70 years old when Abraham was born instead of the correct begetting age of 130 you must add 60 years to the MT flood date of 2558 BC to arrive at the actual MT flood date of 2618 BC. iii. They were sadly mistaken in rejecting Jesus Christ as their true Messiah whom they crucified and even more mistaken in their false faith in Simon as the Messiah. The Jews only realized Bar Kokhba was false after he was defeated and Akiva's disciple, Yose ben Halaphta changed his name from "son of the star" to "the son of lies". The Jews only realized Muhammad was not their messiah when he ate non-kosher camel meat and the attack on the Jewish oasis of Khaybar in 628 AD. iv. Simon’s name changed from “Son of Star” to Son of the Lie” after his defeat in 135 AD. 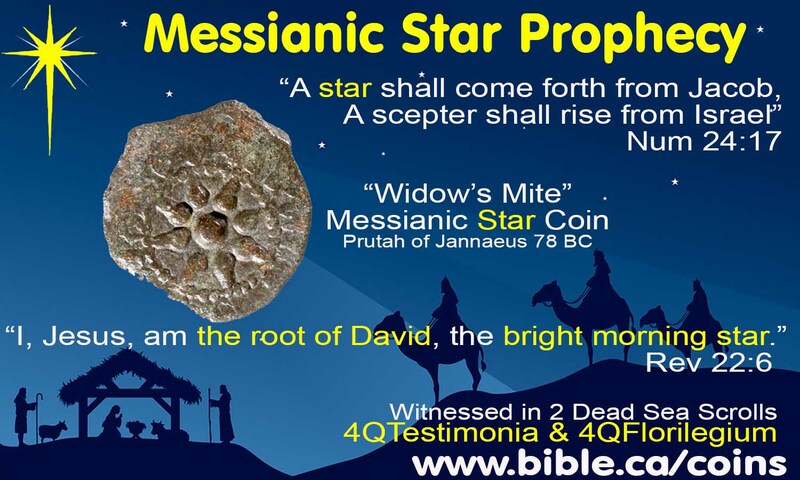 His actual name was "Simon bar Kosiba/Koseba" but Rabbi Akiba/Akiva called him "bar Kokhba" meaning "son of the star" which directly ties him as this messianic prophecy: "There shall step forth a star out of Jacob, and a scepter shall rise out of Israel" (Num 24:17). 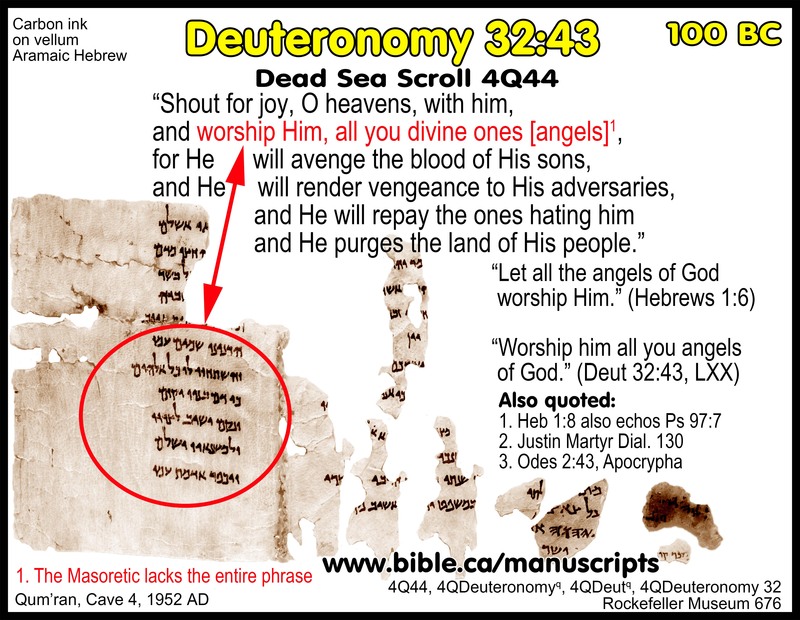 This messianic text was found in Dead Sea scroll 4Q175. 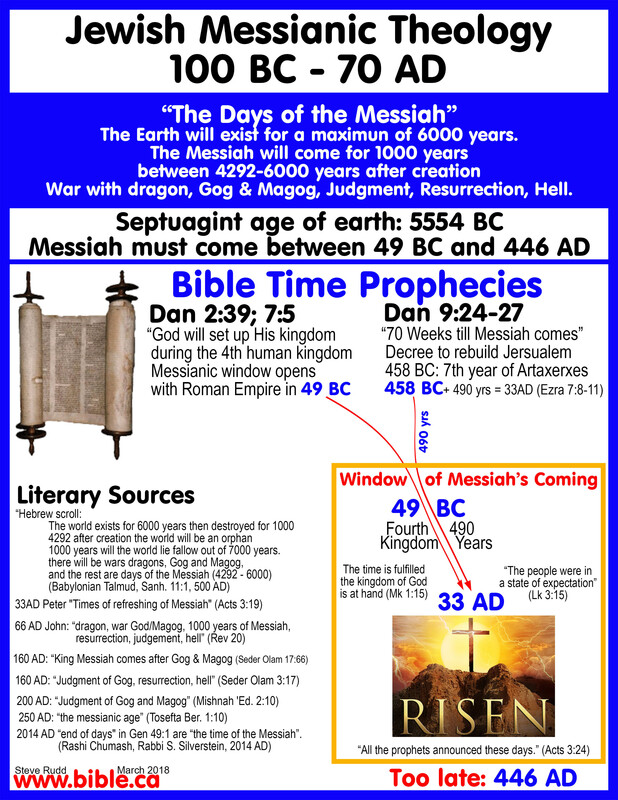 See full outline of First Century Jewish Messianic expectation as witnessed in the Dead Sea Scrolls. This scroll known as “Testimonia” is a collation of Bible verses the Jews viewed as Messianic. Unquestionably then, calling Simon the “Son of the Star” proved he was widely viewed as the messiah at the beginning of the Second Jewish war in 132 AD. v. "Contrary to the widely held view that the Aramaic word Kazab is "falsehood", and all examples cited from rabbinic literature have the meaning of lie, deception, or falsehood. In modern Hebrew, the usual meaning of kazab is "lie", although it can also take the meaning of "disappointment." But any attempt to translate "bar Kozeba" as "son of the disappointment" would be forcing a meaning from a modern language onto a similar word in a different language and from a different millennium." (Rodger Young). vii. Up until the end of the second Jewish war in 135 AD, actually changing the numbers in the Bible text was an academic concept and no one had dared to alter the sacred Hebrew scriptures which at this point in history were identical to the Septuagint in dating the age of the world. 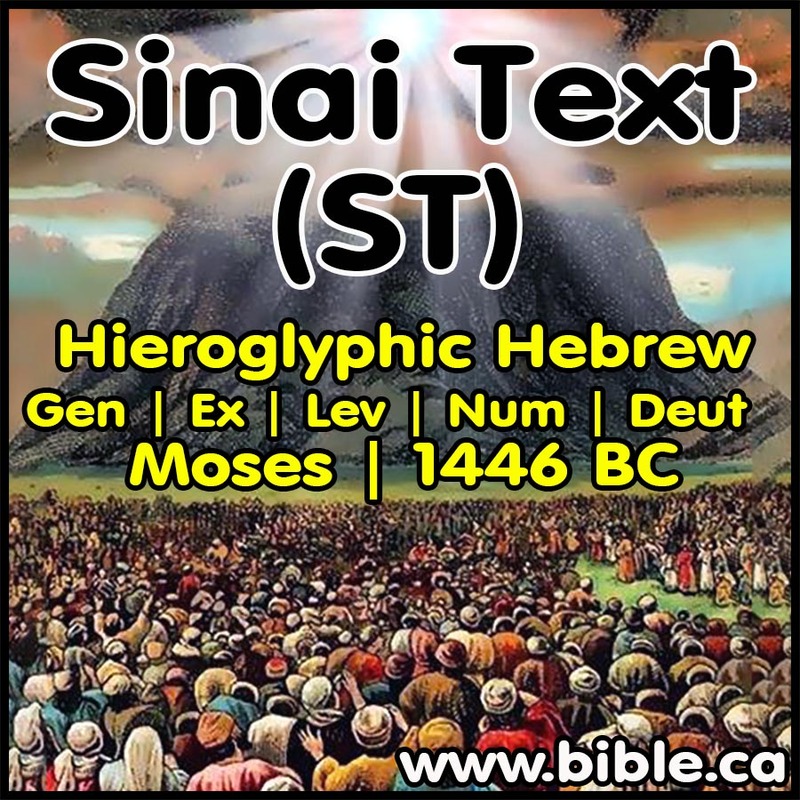 Around 120 AD the Tanakh had the world ending by 440 AD (year 6000 of earth age) and with the rise of Simon bar Kokhba whom the Jews believed was the messiah, they left the numbers untouched in Gen 5,11 in the Masoretic text. The Jews pinned all their hopes on “Simon Christ” who was widely believed to be the messiah. He would usher in the “days of the Messiah”, conquer the Romans and refute the sect of the Nazarenes who wrongly thought Jesus Nazarene (ie the branch) was the Messiah. 1. 140 AD: It became the intellectual and scholastic center of Judaism in Canaan after Hadrian defeats the Jews in 135 AD. a. At Zippori, a very small number of Hebrew manuscripts existed and were in the sole possession of those who were changing the LXX. 3. 150 AD: The Jews began corrupting their synagogue Septuagint’s but end up discarding the Greek LXX altogether and start corrupting their Hebrew Bible for anti-Christian purposes. 6. 200 AD: The Mishnah was written. 8. We have a direct line from Yose ben Halafta who authored Seder Olam Rabbah at Zippori to the corrupting of the Hebrew Bible at Zippori to the Mishnah at written at Zippori in 200 AD to the Tiberian Masoretes 250-900 AD who preserved the corruption down to the present day with their Masoretic Text manuscript that dates to 1008 AD. 1. The author was aware of the great difference in the age of the earth in the Masoretic vs. Septuagint and wrongly chose the Masoretic since the Jews were trustworthy caretakers of their own Hebrew Scriptures. This was a grave error and has caused great confusion among Christians. 2. In 400 AD Augustine: believed both 5554 BC and 4114 BC as the age of the earth were inspired. a. Augustine comments that it is “unthinkable” that the Jews would ever deliberately corrupt their Bible. b. We hear the same thing today! But facts are facts! c. Augustine was wrong because the unthinkable did happen TWICE! a. The Jehovah’s Witnesses use the corrupt numbers of the MT to wrongly predict the end of the world in 1975 AD: It is comical that this ancient Jewish “world must end 6000 years after creation” theology was directly adopted by the Jehovah’s Witnesses who predicted the end of the world in year 6000 AC in 1975 AD but used the flawed and corrupted Masoretic Genesis chronology. After making multiple crystal clear public statements in the Watchtower that Jesus would return in 1975, they blamed the failed prediction on their followers in 1976: "It may be that some who have been serving God have planned their lives according to a mistaken view of just what was to happen on a certain date or in a certain year [ie 1975]. They may have, for this reason, put off or neglected things that they otherwise would have cared for. 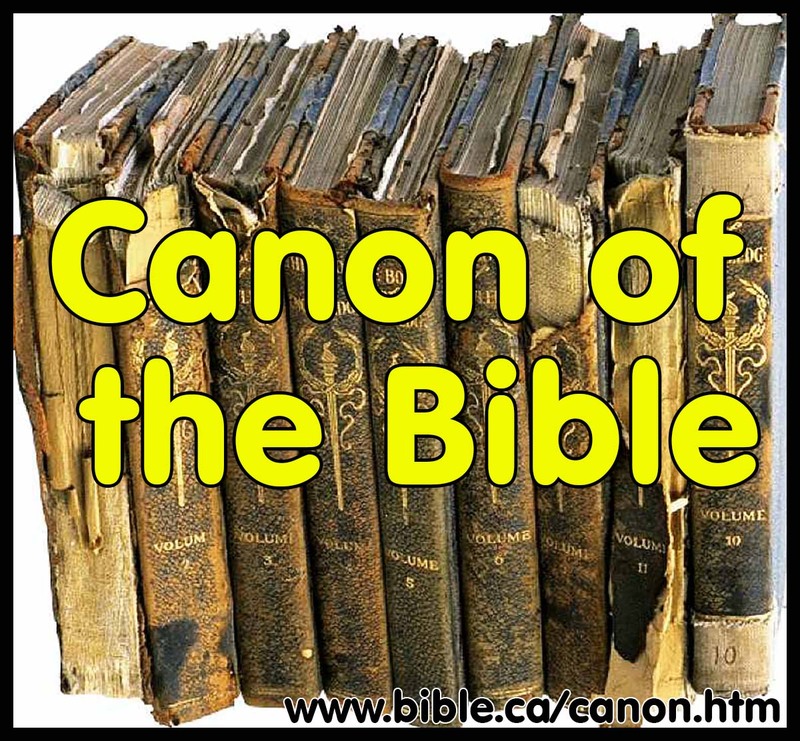 But they have missed the point of the Bibles warnings concerning the end of this system of things, thinking that Bible chronology reveals the specific date." (Watchtower, July 15, 1976, p. 440) And the bulk of JW’s accepted this beating from their masters and continued in blind obedience to the Watchtower. Those that left “THE TRUTH” became atheists so the Devil kept them in his clutches. b. Many prophecy charts for the second coming, rapture etc. date the earth to around 6000 years old in the 20th century, when it is in fact around 7600 years old. a. Ussher was as wacky as the authors of Seder Olam because he taught the earth would exist for a maximum of 6000 years. i. Ussher ignored hard facts of the actual numbers in the Bible and instead squished the real numbers into an artificial self-fabricated design. iii. Both are examples of starting with a set of false assumptions and arriving at an even falser conclusion. iv. Ultimately, Ussher was deceived by the chronological numbers in the Masoretic text that had been corrupted in 160 AD at Zippori. 1. 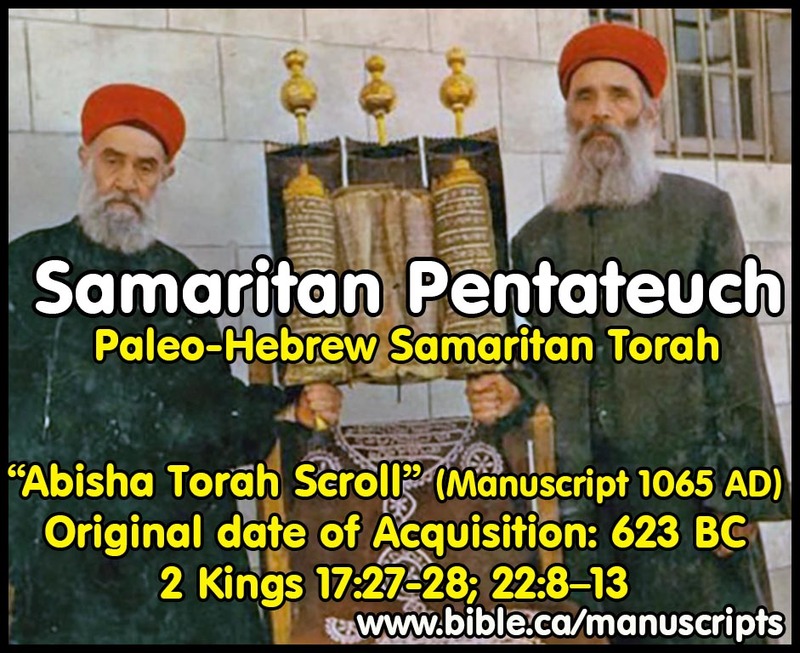 The Hebrew Masoretic Text (MT) of 1st and 2nd Samuel are universally recognized as “hopelessly corrupted” and is corrected by the copy of the Greek Septuagint (LXX) in possession of Christians in 350 AD. a. The text of the book of 1 & 2 Samuel is solid and certain because we have the Septuagint (LXX). 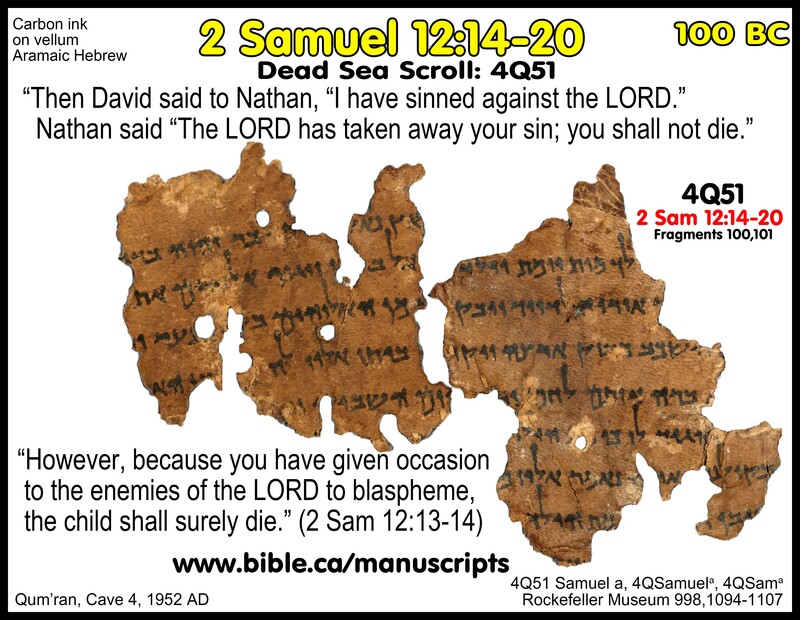 c. 1 & 2 Samuel as found in the Septuagint (LXX) is validated at the variant of 2 Samuel 12:14-20 by three Dead Sea Scrolls: 4Q51-4QSama, 4Q52-4QSamb and 4Q53-4QSamc proving the Hebrew Masoretic to be corrupted. b. Septuagint Lucianic LXXL lists Saul’s age as 30 when he became king. After all, Jonathan his son defeated the Philistines at Geba in the first year of Saul’s reign. c. Again, the New Testament saves the day giving us the precise number of years Saul reigned: 40 Years. 3. 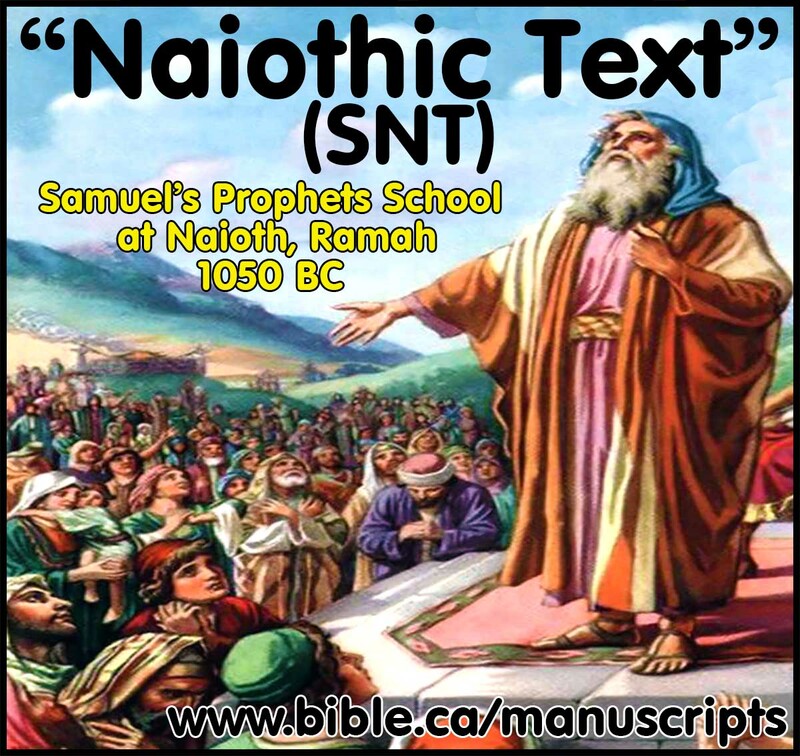 While Jewish Rabbis today reject the Septuagint, they are unaware (or in blind denial) that with out the LXX the Jews would not have a book of Samuel. 1. On two different historic occasions, the Jews corrupted their own Bible to counter theological adversaries. The Jews in 160-200 AD corrupted the Genesis chronology for anti-Christian purposes unknowingly following in the footsteps of Ezra in 458 BC who, for anti-Samaritan purposes, changed the location of Joshua’s alter from Mt. Gerizim to Mt Ebal as he converted the Paleo-Hebrew Tanakh into Aramaic Hebrew. Noah got drunk, David committed adultery. Perhaps this one textual corruption was Ezra’s great sin. Notice that in both cases, the entire collection of Hebrew manuscripts were entrusted into the hands of a small number of Jews who created a single manuscript that would come to dominate the world, all within a population who were Hebrew illiterate and would be unable to detect the changes. 2. The “Masoretic Text” used in all modern Christian Bibles today was created and standardized around 160 AD at Zippori. a. The Jews today refuse to even read the New Testament and always blindly believe their Hebrew scriptures are superior to the Greek Septuagint so the Devil holds them in deception. b. Christians who rightly identify Jews as having changed their Tanakh create ammunition for unbelievers to reject the entire Bible, so the Devil holds them in deception. c. But in the end, none of the changes made by the Jews changed any critical text or changed any doctrine, so they failed. d. Many Jews today are converting to Christianity as a result of simply reading the New Testament for the first time! 4. The same hatred and jealously that led the Jews to lie that Jesus did not rise from the dead, but that the disciples stole the body, led them to change their scriptures. b. Out of hatred for Christians who quoted the Jewish Greek Tanakh (Septuagint) to prove Jesus was the messiah, and having their temple destroyed by the Romans, the tiny remnant of surviving Jewish leaders sought for a way to prove Jesus CANNOT be the Messiah. The solution was the reduce the age of the earth by 1250 years which would push Jesus outside of the “window of the coming of the messiah”. They achieved this in two ways. First they compressed world history like an accordion by saying, in one of several examples, the Persian empire ruled the world for 52 years instead of 206 years (154 year reduction). But the Old Testament doesn’t contain any chronological numbers for the Babylonian, Persian, Greek or Roman empires of the Daniel 2 prophecy, so changing them achieved nothing tangible in arguing with Christians. Second, they fudged the actual chronological figures in the Hebrew text of Gen 5, 11 which indeed reduced the age of the earth by 1386 years. 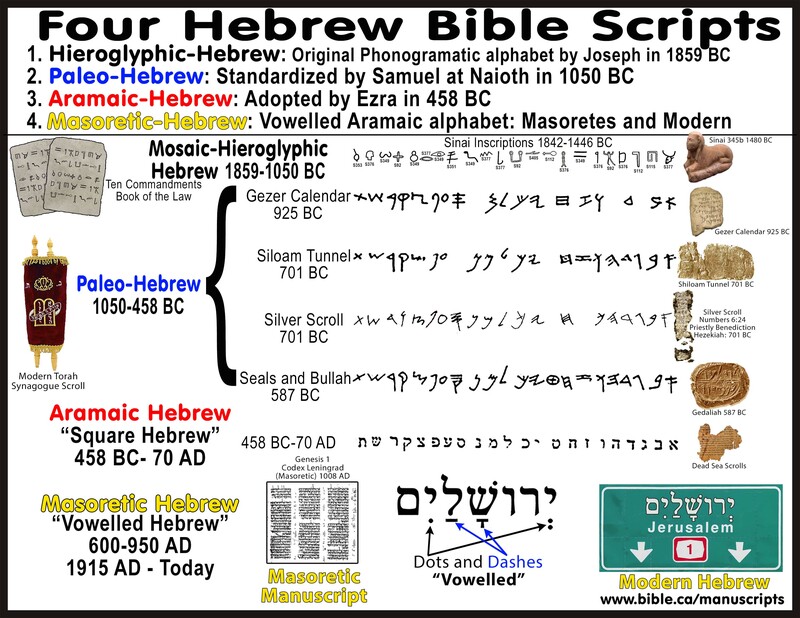 With the Hebrew language extinct in 300 BC except the Jerusalem elites and a few other’s, and the fact that Jews everywhere had been using the Greek Bible in all their synagogues for close to 400 years, changes in the Hebrew text would go unnoticed. But it achieved their goal because Jesus was born in 1BC but the new revised age of the earth as seen reflected in the modern Masoretic Text, meant the earliest the messiah could come was 118 AD. And that is how the numbers read in most modern translations today like the NASB and KJV. 6. 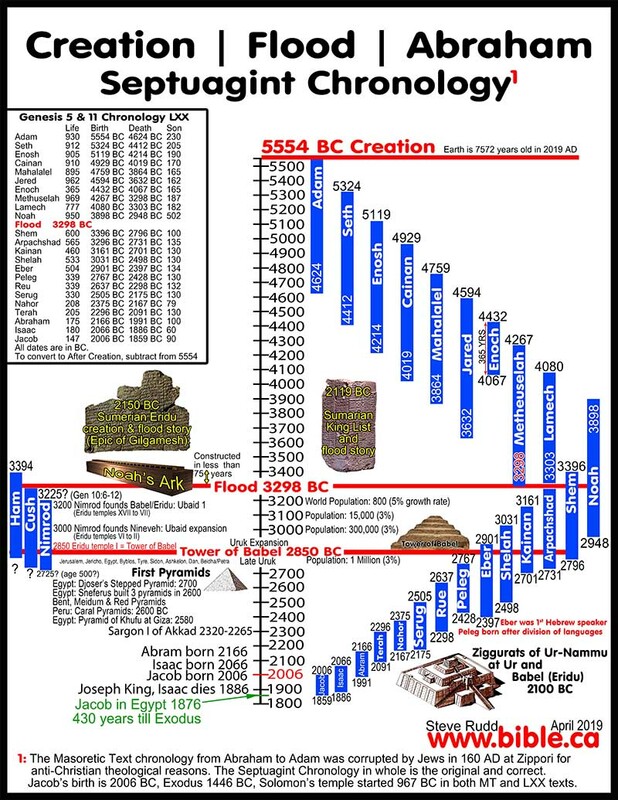 We can be certain today, that the Septuagint chronology of Gen 5 & 11 contains the correct age of the earth at 5554 BC and the Masoretic are corrupted at 4174 BC. a. In the final analysis, we can be certain that we possess the word of God! 7. Many Jews today are converting to Christianity as a result of a simple reading the New Testament for the first time!